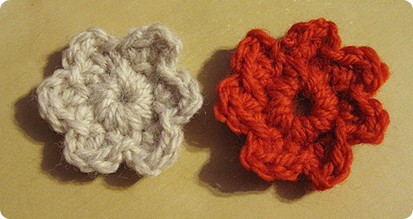 Now that I can make granny squares, I’ve started learning how to make other crochet motifs. The first was hexagons and today I started learning how to make simple flowers. I love the thrill of learning something new and then practising to refine your technique. 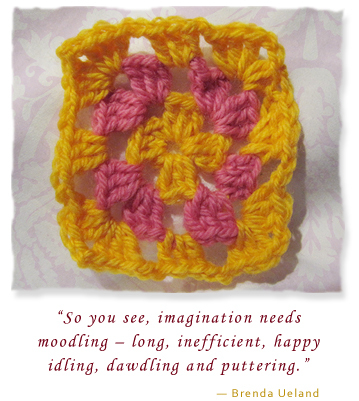 I’ve been enjoying looking through crochet blogs and come across some wonderful tutorials, two of which taught me the two motifs below. The flowers are in the order in which I made them, starting at the top, the same with the hexagon motifs. With both, I’m not 100% spot on with the technique, but I’m quite pleased with my progress so far. I haven’t blocked any of my crochet motifs yet, something I really should learn how to do. For the Hexagon motif, I used the tutorial from Life on Laffer and for the flowers I used a tutorial from Attic24. 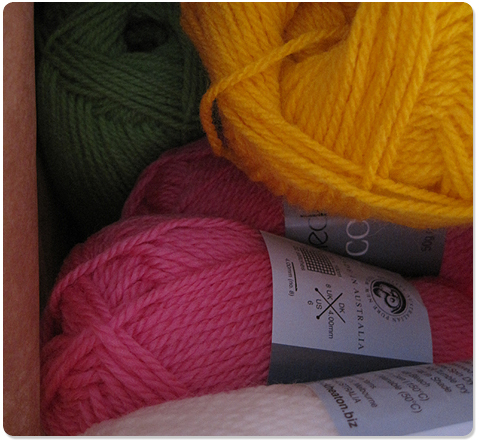 Do you have any favourite crochet sites or tutorials you’d like to share? Please do! I’ll include them in a new post with your links plus a link to you, then we can all explore fabulous crochet sites together. I played with the pattern and instead of doing 9 dc in the circle, I do as many as fit to make a tight circle, then add the petals. The more dc the more petals, it seems. I am now completely obsessed with crochet. 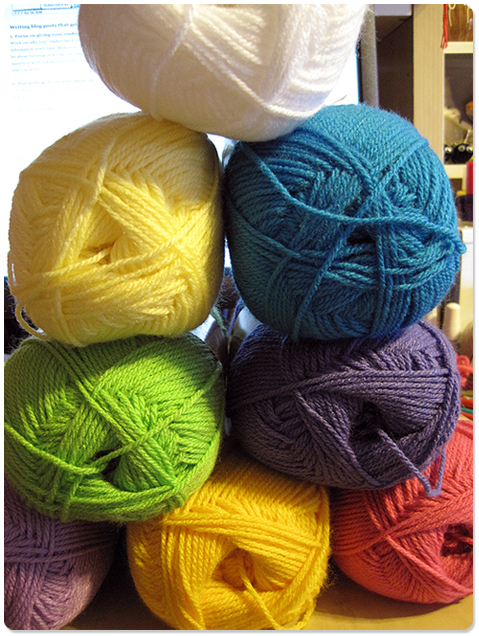 I am determined to get my granny squares all tidy and even. 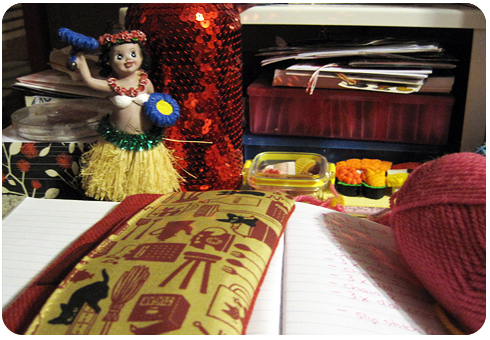 Practice makes perfect they say, so I am practicing, practicing, practicing. I’m excited to try crochet flowers next and then work up to one of those gorgeous crocheted shawls, such as this one I saw on Ravelry. While I may be crochet obsessed, I still enjoy knitting. 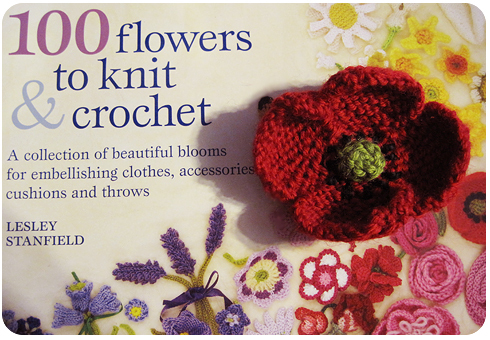 A recent-ish book purchase was ‘100 Flowers to Knit & Crochet’ by Lesley Stanfield. Gorgeous book, so many lovely flower patterns. The patterns are written in a clear, easy to follow manner and I can see this book being one of my favourites. 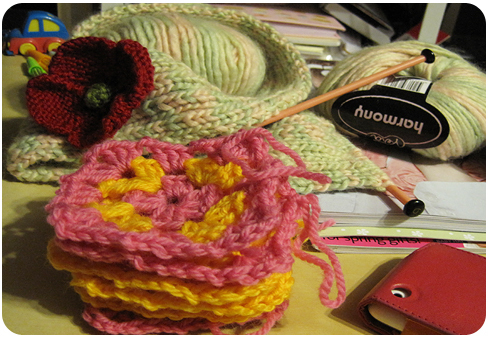 In the photo you can see the first flower that I have knitted from the book, a Poppy. I used 8 ply yarn, although I can’t remember which brand. Will have to find the label. It was a quick, fun project. I’m going to sew a brooch backing to the flower so I can wear it on winter coats and jumpers. I was thinking about adding it to a hair-band or clip but thought I’d get more use out of it as a brooch. I made a Granny Square! I finally figured out how to make a granny square! It’s not perfect but it is my very first granny square that actually looks like a granny square. I am so excited! After so long trying to understand crochet, I’m getting close. 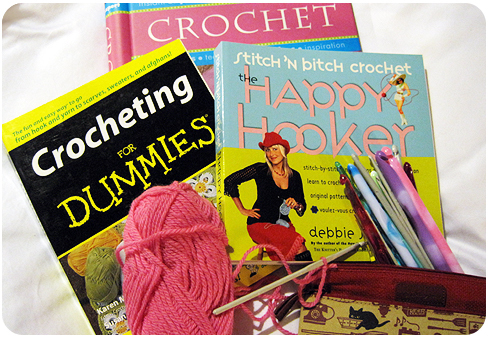 Ooh, maybe soon I will be able to try all those fab crochet patterns that I’ve seen in books and online. I used some Holiday 8 ply wool and a 4.5mm crochet hook. The yarn is a bit splitty, it’s only Kmart type yarn, but perfect for all the practice rounds of crochet I’ve been making. I’m excited to have made a granny square, but also to have persisted in learning something, even though I thought I wouldn’t be able to figure it out. 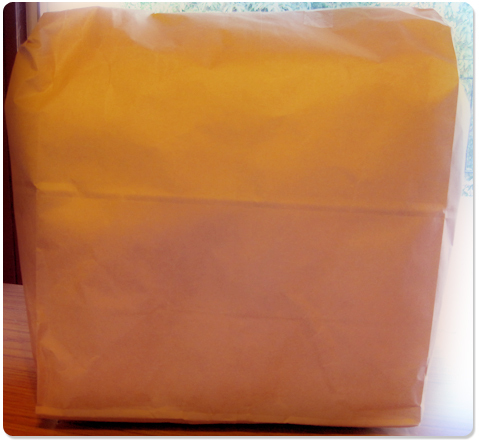 I regularly give up projects before I have even started because I think I will do it wrong. Every stitch in this square is a reminder to myself that I can learn new things, I just have to give it a try and practice. Enjoy the whole process, including the mistakes along the way. I’m learning that mistakes aren’t scary, they can be fun & they can help me learn how to do something correctly. Yay for learning new things! 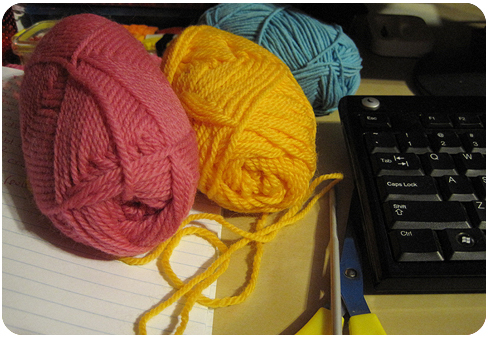 I am currently learning how to crochet. For some reason it is harder for me than knitting. 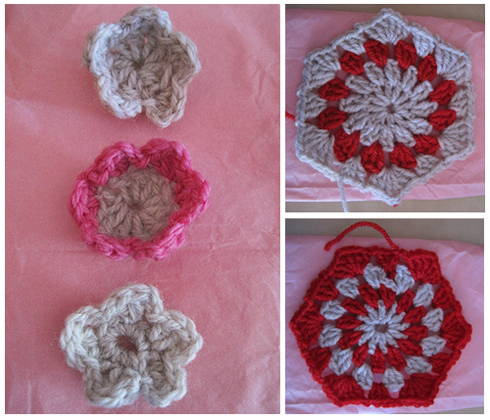 I’ve been watching videos on how to make granny squares & attempting to follow along. I get close, but my squares are too tight. 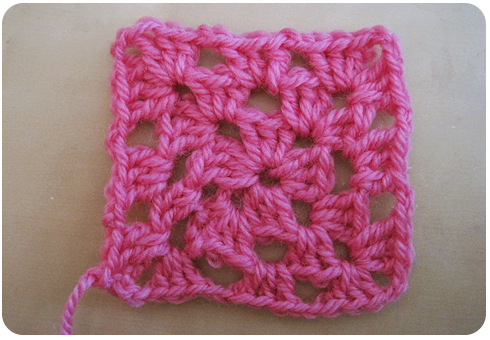 Am I making a mistake in starting with a granny square or should I learn different type of stitches first? As you can see, I’ve bought a few books in the hunt for one that makes it clearer and for someone who can’t crochet, I have a nice collection of crochet hooks. When I was learning how to knit, I had a wee bit of trouble picking that up but the owner of the local yarn shop recommended a children’s learn to knit booklet from Panda. Bingo! It all started to make sense. I felt a bit silly, but apparently I wasn’t the only adult who found the kids book much easier to follow. Maybe I need a kids book on crochet, too! It’s all about learning for my creative space this week. Have a look at other creative spaces here at Kootoyoo.